The perfect way to add a cinnamon scent to your home while creating a wonderful decoration or center piece for your Holiday gathering. Remember to never leave candles unattended or use around children! Once you make your own set of candles you will want to make some extras to give away to your friends. 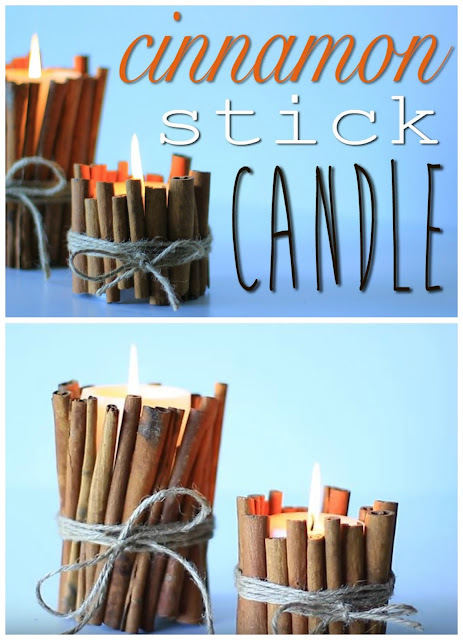 You will need: Cinnamon sticks, twine, scissors, elastics, garden shears, candles and a lighter.